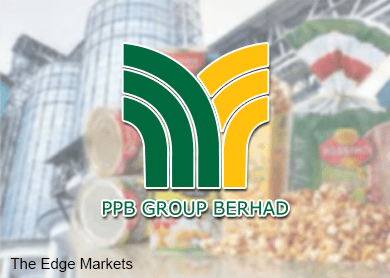 KUALA LUMPUR (May 13): PPB Group Bhd, which will announce its first quarter financials next week, said profit would be mainly helped by growth at its 18.3% associate Wilmar International Ltd.
PPB (fundamental: 2; valuation: 0.8) managing director Lim Soon Huat said PPB's bottom line would also be supported by its flour milling and cinema operations. "Our business is very well diversified and the growth is very well distributed. However, our performance will be largely supported by Wilmar's operations," Lim said during a press conference after PPB's annual general meeting here today. Lim said PPB was "optimistic" that Wilmar, which contributed 67% to PPB's net profit in financial year ended December 31, 2014 (FY14), would perform "better than last year", thanks to the latter's stronger quarterly earnings so far. PPB is scheduled to announce its 1QFY15 results this May 21. Last week, Reuters reported that Wilmar's net profit jumped 49% in the first quarter due to strong earnings at its oilseeds and grains business. The world's largest palm oil processor and one of the biggest buyers of soybeans reported profit of US$241.2 million (RM869.33 million) for January-March. That was on revenue which fell 8.3% to US$9.4 billion (RM33.86 billion) due to a decline in commodity prices. Today, Lim said Wilmar's financials was expected to improve further in 2QFY15. "Last week, Wilmar announced their first quarter results which were substantially increased. Wilmar chairman has said that it will be better for the second quarter. So, I won't say much more than that," Lim said. Today, PPB shares erased losses at afternoon market break. At 12.30pm, the stock rose 10 sen or 0.6% to settle at RM15.52 for a market capitalisation of RM18.4 billion. PPB shares had risen 9% this year, outperforming the FBM KLCI's 2% rise.